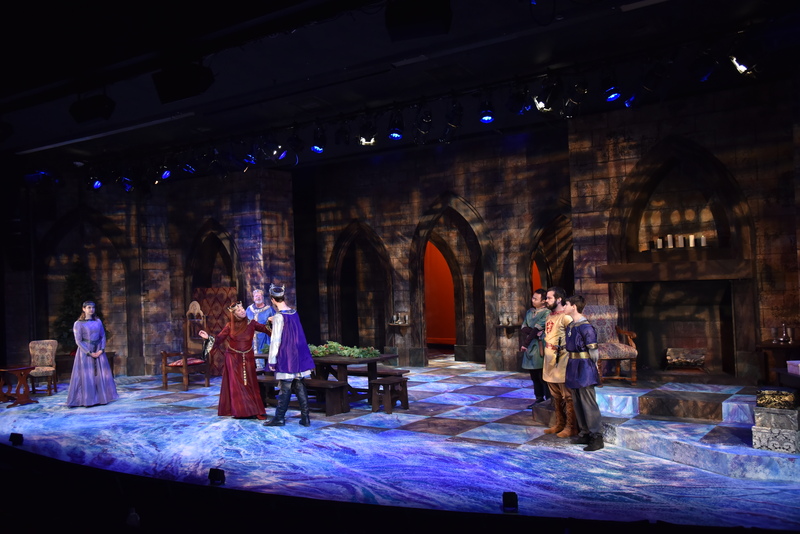 The Lion in Winter and Seminar at Theatre UCF in Orlando, Florida for the Summer 2017 season. Led a crew of 2 student electricians to hang a rep plot for both shows. Coordinated wiring of practicals, including LED tape fireplace, flicker candle units connected by quick-connect, and LED tape bookshelves. Patched and troubleshot rig before focus and managed both work and focus notes during the tech process for both shows. Assisted and guided students programming during tech. Performed daily channel checks for both traditional fixtures and moving lights before rehearsals and during the run of the shows. 2 individually controlled channels of RGB LED tape concealed in the fireplace created a gently flickering red-orange glow.